Synnex Alliance has a proud record of providing the reseller channel with a chance to see new and innovative technologies in action. Synnex Alliance has a proud record of providing the reseller channel with a chance to see new and innovative technologies in action. As the technology industry continues to deal with an ever more rapid curve of innovation and creativity, being able to hear expert comments on critical trends in the market and learn about the newest products are a major advantage to the channel. 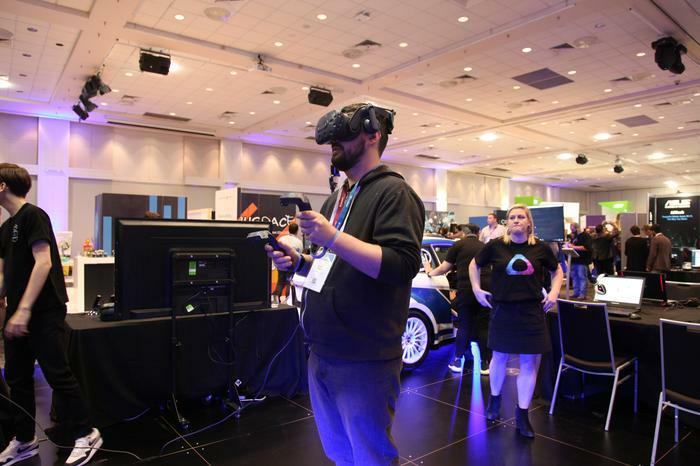 Synnex Alliance 2019 focuses on five areas of technology, each with a dedicated “zone” at the event: the Print Zone, IoT, Gaming Zone, Eduspace, and Cloud Solutions Hub. The Sydney and Melbourne events will also feature a roundtable on Technology-as-a-Service (TaaS), in collaboration with ARN, bringing some of the brightest minds together in one space for an open and detailed conversation on TaaS. “This is a perfect opportunity to learn more about industry trends, gain unique insights on how vendors play in those markets and how partners can leverage our services,” Synnex Darren Tan said. Synnex’s expertise and strong portfolio across several different technology categories means partners can use the Synnex Alliance events as an opportunity to see how these technologies interact to form complete solutions. It’s an opportunity to get away from product fact sheets and get practical hands-on experience with what the technology does. Print Zone: Synnex represents some of the industry-leading suppliers in this Zone including vendors like Brother, Epson, HP and Lexmark. Resellers can gain insights on a variety of topics ranging from printer configuration and 3D and large format printing to the logistics of running a printing supplies business. IoT: After a successful first year in 2018, Synnex’s IoT hub is back. With vendors including Simble, Advantech and Adlink, Synnex Alliance 2019 will provide resellers with insights into both smart buildings and facilities management, and explain how to leverage analytics for asset monitoring and management. Gaming Zone: Synnex’s traditional strength in the gaming space is underpinned by its partnership with Intel; the leading manufacturer of chips for gaming devices. This year, attendees will be able to experience triple-monitor gaming and dive into virtual reality (VR); demonstrating how the next few years for video games will be all about finding new ways to offer even deeper levels of immersion. Eduspace: With vendors including UBTECH, Google Education, Acer, XYZ Printing, Aver and Microsoft, the Eduspace Zone at Synnex Alliance has always been a hit. The education space is experiencing immense innovation with gamification, augmented reality, and robotics and coding all becoming core to the syllabus as schools look to boost their STEM capabilities. To do so, those schools will need the expert guidance of experienced and creative resellers. Cloud Solutions Hub: Technology vendors such as Microsoft, Barracuda, and Carbonite return to Synnex Alliance to share detailed information on how resellers can help their customers succeed in the cloud. From security to productivity, data through to services, the cloud is the technological lifeblood of so many organisations. At Synnex Alliance, you’ll learn where the biggest opportunities are emerging. Technology-as-a-Service (TaaS) is a key emerging concept with a huge future. The idea of bundling finance hardware, software, cloud, configuration, services and buy back into a single monthly bill, creates the most comprehensive lifecycle management eco-system in the IT channel. One of the highlights of the Synnex Alliance events this year (in Sydney and Melbourne) will be a panel discussion on the opportunities and challenges facing resellers as they adopt TaaS solutions. The panel, hosted by ARN’s editorial team, will include thought leaders in hardware and software from HP and Microsoft. “Synnex Alliance has evolved enormously over the years that we’ve run it,” Darren Tan said. 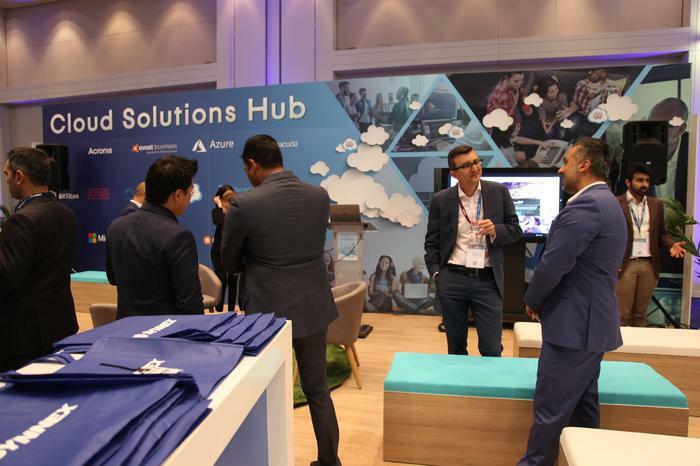 “It’s not just about delivering products and services but it’s also about showcasing how we can align our solutions and service offerings through additional feature areas and a life cycle/configuration services booth”. “In 2019, one of our key goals as a solutions aggregator is to further enhance our B2B platform to enable partners to adopt digital transformation by procuring hardware, attaching cloud products, services and finance in a single login and delivering it all as a service”.